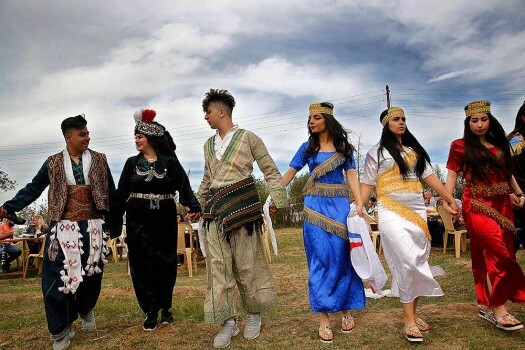 Assyrian Christian dancers wear their traditional costumes, as they celebrate Easter and the Assyrian New Year, or Akitu, in the village of Tal Arboush, northern Syria. 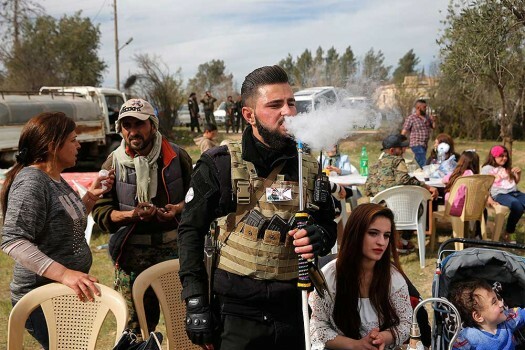 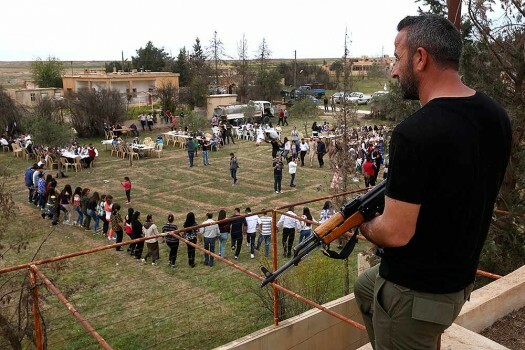 An Assyrian Christian militiaman guards a park where his community is celebrating Easter and the Assyrian New Year, or Akitu, in the village of Tal Arboush, northern Syria. 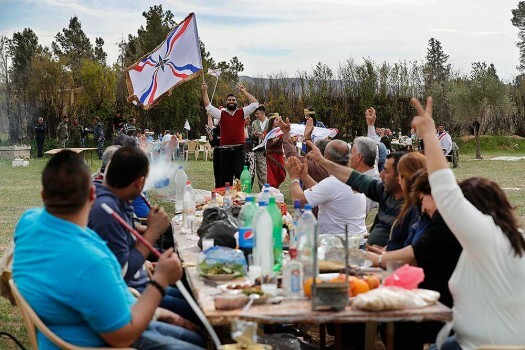 Assyrian Christians eat lunch and wave their flag, as they celebrate Easter and the Assyrian New Year, or Akitu, in the village of Tal Arboush, northern Syria.